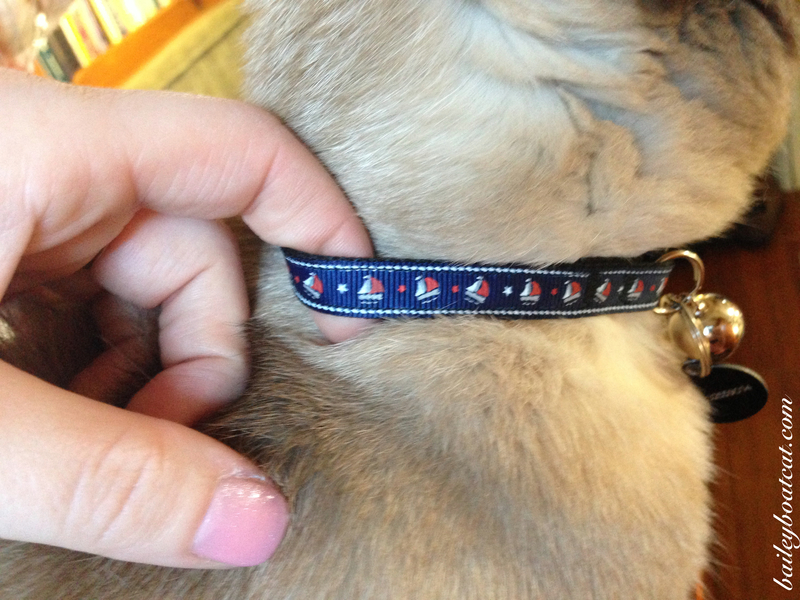 New collar fit for a boat cat! Furiends I’m delighted to show you all my brand new collar! It’s covered in sailboats! Isn’t it pawesome? The humans and I adjusted it to be the purrfect fit. We’re happy that it also has a safety buckle so if I get stuck I just have to tug a little and it will snap open. I never used to like wearing a collar but the humans insist I wear one on the boat just in case I get carried away and hop onto neighbouring boats. Of course I’m not silly enough to get lost, but I’m very pleased with my new collar. I especially like it since it also means the horrible temporary collar can be put away, hopefully never to be worn again! 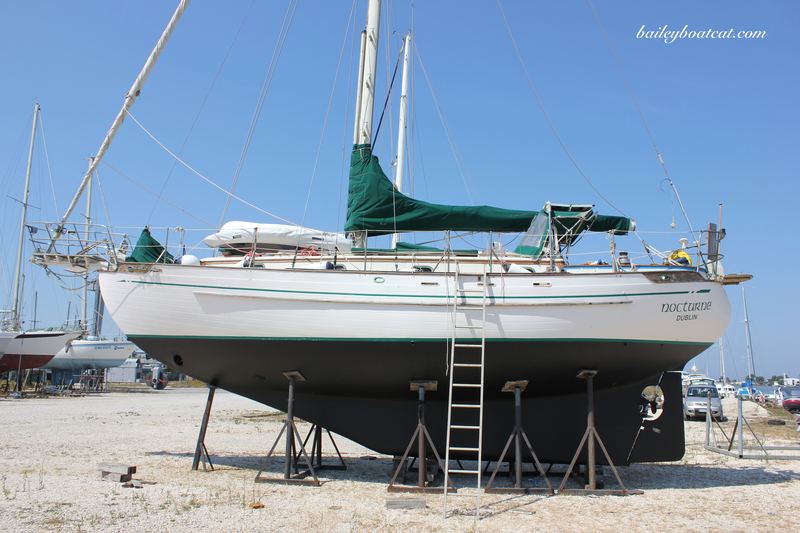 It is absoutely gorgeous and totally fit for a handsome sailor boy! Glorious collar! Mes lives the boats on it! And yous looks furry handsome in it! That collar is very beautiful. And absolutely perfect (or should I say puuurrrrfect) for you. That is a nice collar and you look adorable as always. 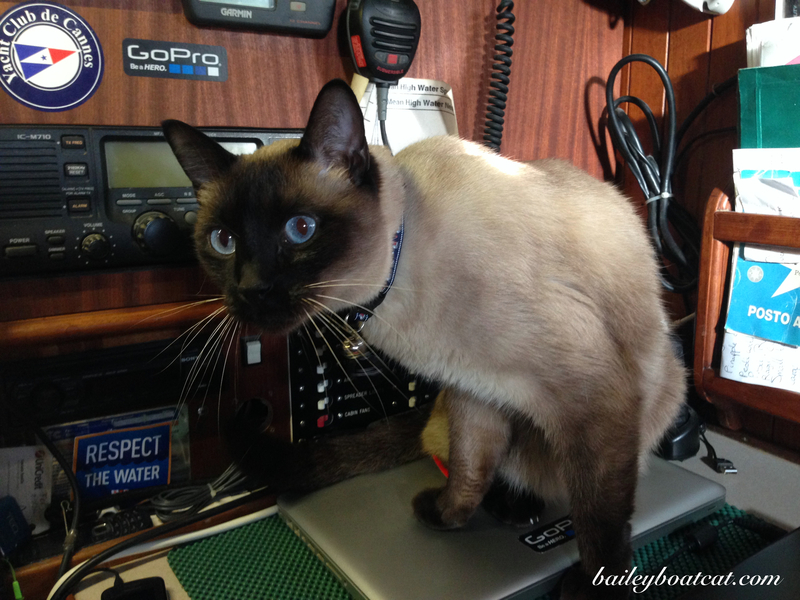 Hooray for a new collar fit for a boat cat. So glad to see that it has your name and address on it, too, along with a lovely bell. Bailey I love your new collar! Perfect for a sailor – shows you’re a boater but that your home sweet home is Nocturne! I like it! Very fitting with the sail boats, Bailey! I just LOVE your new collar. What does the SV stand for? Bailey, that collar is perfect! what a beautiful collar! i used to get seasonal collars for my baby Agnes! Actually, those snap collars came in handy – i got her new collars because about 4-5 times a year she would come back home without a collar. who knows what she had gotten into! 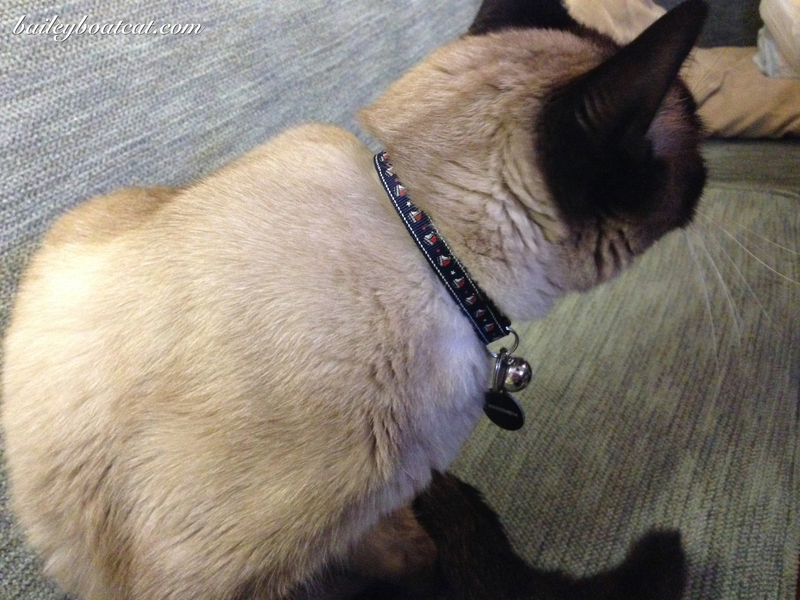 What a PURRfect collar, Bailey! 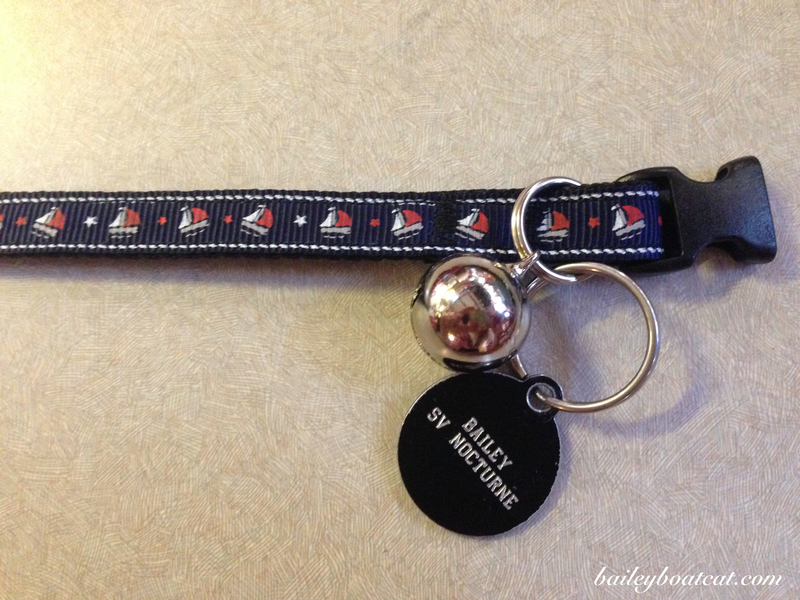 Bailey, the collar and bell are wonderful!! Very handsome. I’ve always found the bells on kitty collars to be essential to tracking you rascals down when you hide!! My kitty Pumpkin wandered off years ago and stationed herself on the second story of a barn in my neighborhood. She was missing for 3 days. Her bell helped me find her. Beautiful collar Bailey. I am always in awe of you, living on a boat like you do. I can’t go anywhere near water. I even cry at my daddy when he gets in that stall that shoots water. How do the hoomins stand that?? Very smart, Bailey! I bought new collars for Angel and Chuck in the summer, but they both were scratching and itching at them all the time, so I removed them. Also, it’s winter and they have no desire to venture outside right now. In the spring, I’ll find new collars for them…maybe something organic? Time to search the interwebs!